Alderwood Ponds is a mature fishery that dates back to the late 1980s, located in Steyning, West Sussex, it is stocked with a wide range of species. 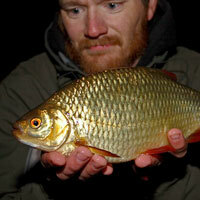 The venue is popular with the bivvy brigade who target the carp that go to nearly 40lbs, but the fishery is gaining a growing reputation for the large head of specimen perch. 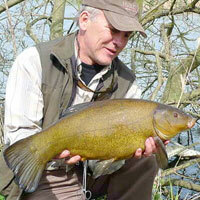 Dave’s Pond – this water has been designed to offer convenient fishing for disabled anglers. The carp in here run into the mid teens and there is a large number of tench in here – if you like green and slimey fish, then give this water a go. Corsican Pond – a similar sized water with 15 pegs. 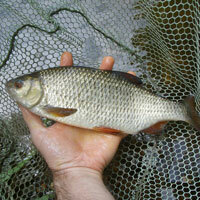 This is stocked with a high number of smaller fish including crucians and orfe. This is a great water for a beginner who wants a fish filled day. Island Pond – the largest water on the venue which has 26 pegs. 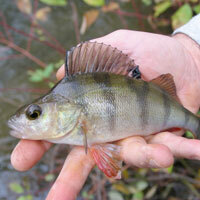 If you are after the big perch then you should head here. This is the larger specimen lake, so make sure your tackle and approach are suitable for the species that you are targeting. The bites may be less frequent, but you should be rewarded for the effort you put in. Address: Horsham Road, Steyning, West Sussex, BN44 3AA.